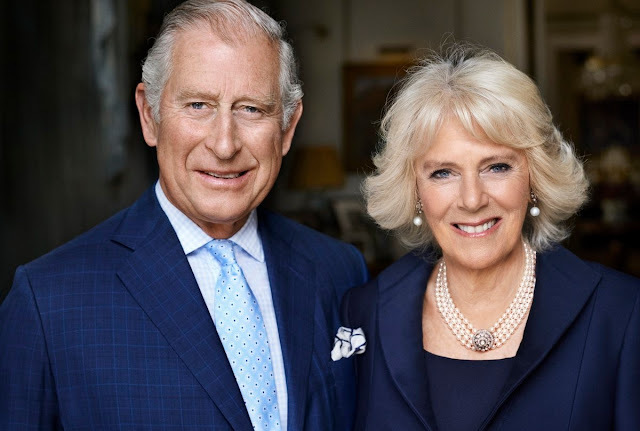 A new portrait of The Prince of Wales and The Duchess of Cornwall by Mario Testino was released to mark The Duchess' 70th birthday on July 17th. If Camilla collected any serious gems for her milestone birthday, none were on show for her official birthday portrait (which, to be fair, was taken back in May). The portrait's very much a reflection of her day-to-day jewel style, though, showing her favorite earrings and a favorite selection from her collection of signature pearl chokers. I'm sure she was plenty bedecked for her private birthday party at Highgrove on Saturday, anyway.